Hi, I'm Samantha, Stride's content coordinator! Pleased to meet you. I hope you've been enjoying the Stride Blog! I wanted to share a little bit about my trip to Japan last year with G Adventures - one of the top tour operators on Stride. When I was planning my vacation, I tried to think about places that would most come alive for me through a guided tour. I wanted to not worry about the language, and be able to learn about the culture and history while enjoying an immersive look at the country. I found a tour to Japan that seemed perfect. I was familiar with G Adventures and had been wanting to go on a trip with them for a while. The tour exceeded all expectations and I can't wait until the next one! 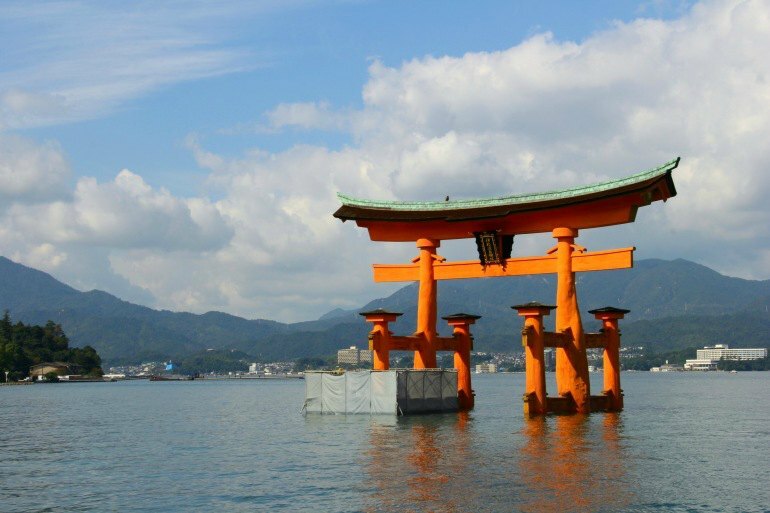 I became fascinated with the Japanese approach to religion. We visited many temples, including one of the oldest zen temples, Daisen-in, in Kyoto. 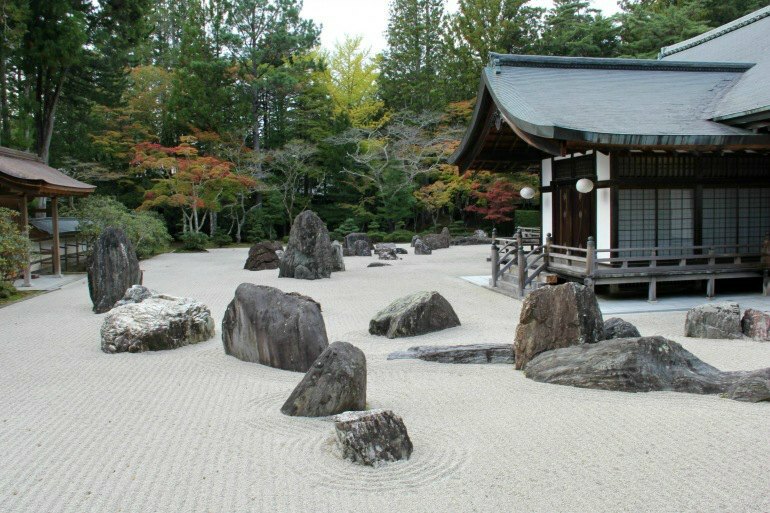 I was especially moved by the zen philosophy, which permeates everyday life in Japan. In a country where the people are so warm, friendly, and welcoming, one can't help but imagine Zen practice has something to do with it. As someone who considers herself spiritual but not religious, I loved how Kozo, our guide, explained the Japanese approach to religion. "We love religion" he'd say. "But we don't practice like a rule or discriminate. Instead we appreciate all religions and take a holistic approach. When we visit other countries we go to their houses of worship. It doesn't matter to us where religion happens. We enjoy religion anywhere." That said, I had perhaps the most beautiful religious experience of my life when we chanted with Buddhist monks in the early morning hours at a monastery in Kōyasan...truly unforgettable. 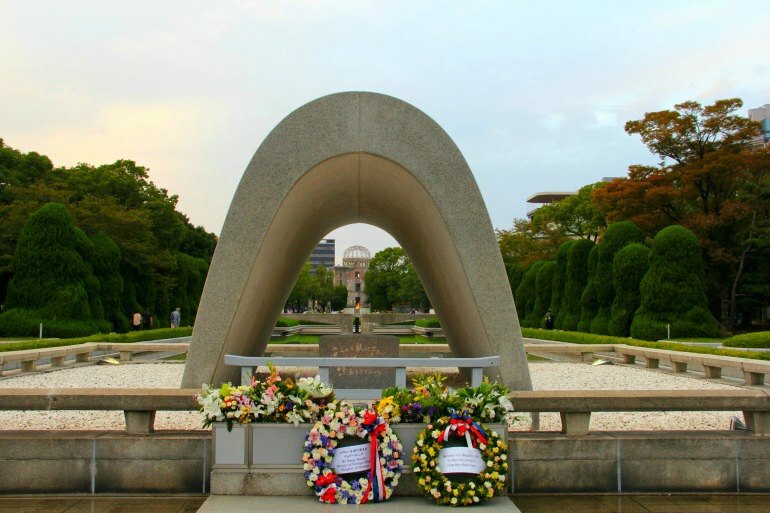 One of the other major highlights for me was visiting Hiroshima. The opportunity to pay my respects as I walked through the expansive Peace Park was profound and truly moving. The calm and serenity so prevalent in the culture might have seemed at odds with a memorial for such a horrific event. But it felt stronger than ever. And I appreciated having time to soak this in. The museum is sobering but extremely well put together. 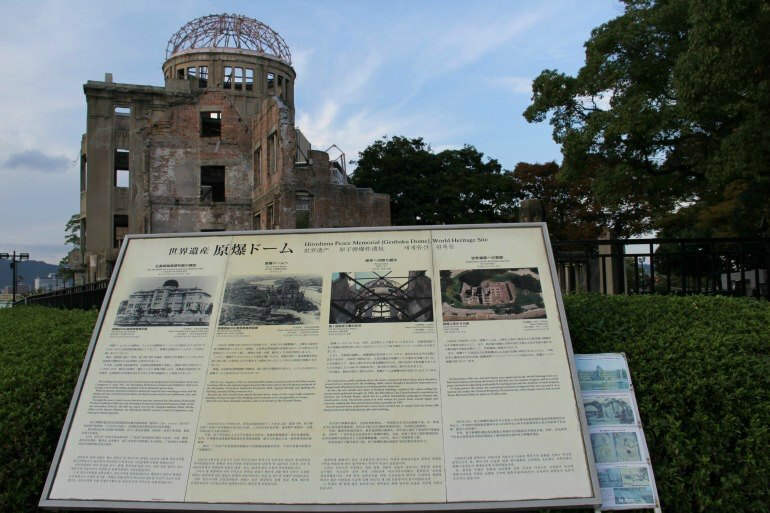 The photographs and exhibits helped put into context the sites and memorials seen throughout the park. There was also an impressive amount of scientific information provided - helping to explain the inner workings of the atom bomb, the explosion, and the effects of radiation poisoning. When choosing a guided tour, there are many factors to consider. G Adventures caters to many different types of traveler and they emphasize a truly immersive experience. Yet I didn't leave feeling like I missed important sites (where yes, you may be among large groups of tourists). The balance was always there - and I felt that even when we were around tourists, I was getting a unique look at the particular attraction because of our guides extensive knowledge and local perspective.